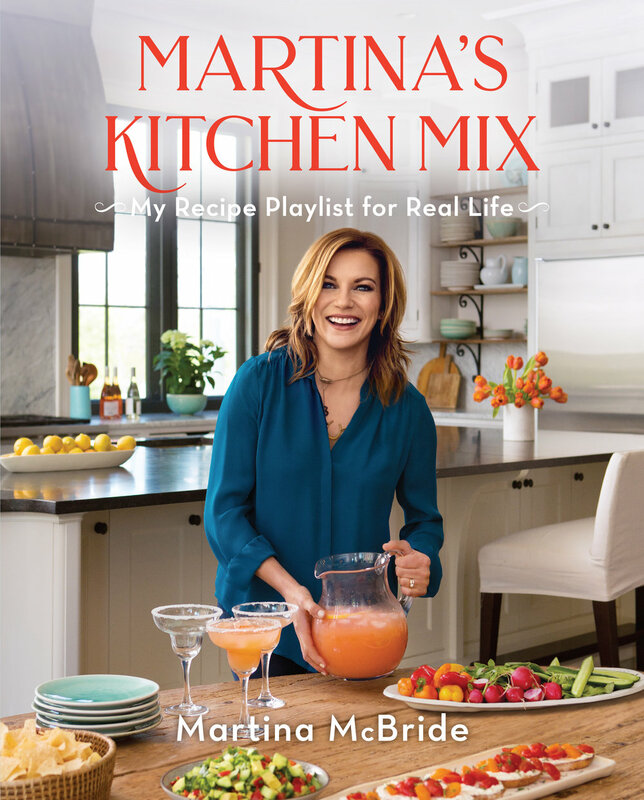 Recipe by Martina McBride — Curated by Cindi Sutter, Chief Communicator & Editor of Spirited Table® - Excerpted from Martina’s Kitchen Mix Copyright © 2018 Oxmoor House. Reprinted with permission from TI Inc. Books, a division of Meredith Corporation. New York, NY. All rights reserved. 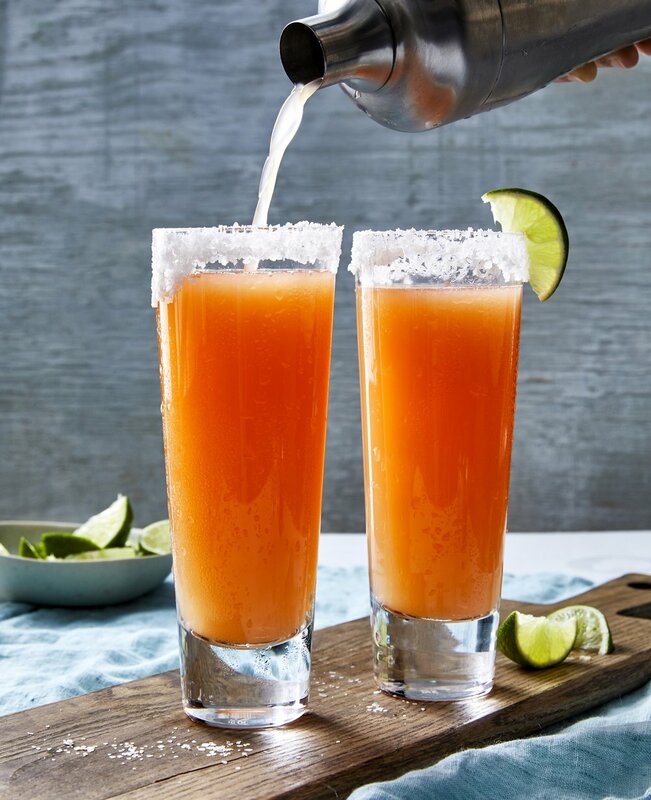 If desired, rub the rims of 2 margarita or highball glasses with a wedge of grapefruit. Invert each glass in a shallow bowl, just a bit wider than the diameter of the glasses, filled with a thin layer of margarita salt. Gently twist the glasses to coat the dampened rims in salt. Add ice to the glasses. Combine the grapefruit juice, lime juice, tequila, and the Simple Syrup in a cocktail shaker filled with ice. Cover with the lid, and shake vigorously until thoroughly chilled (about 30 seconds). Strain into the prepared glasses. Garnish with sliced grapefruit and lime wedges, if desired. TIP: Ruby Red grapefruit is sweeter than pink grapefruit, so you may need to adjust the amount of Simple Syrup in the drink. TIP: Simple Syrup can be stored in the refrigerator for up to 1 week.